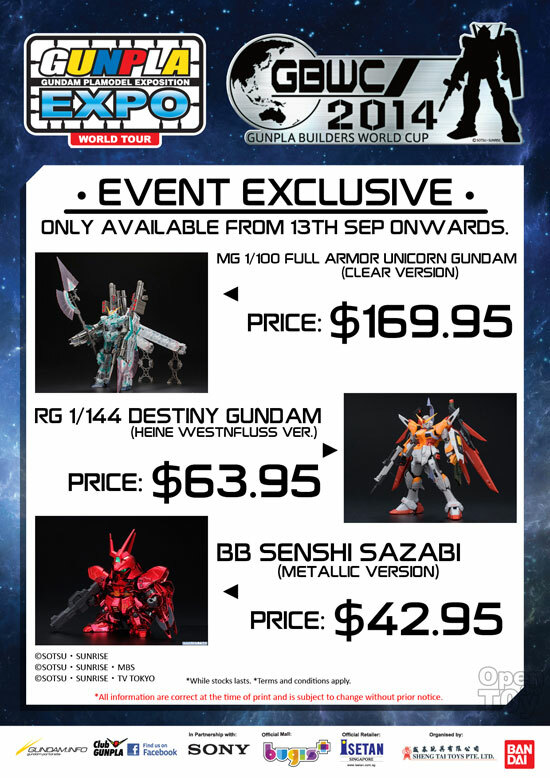 Gundam Expo 2014 is currently on from 10th to 21st September 2014 at Bugis+ Atrium from 10am to 10pm daily. 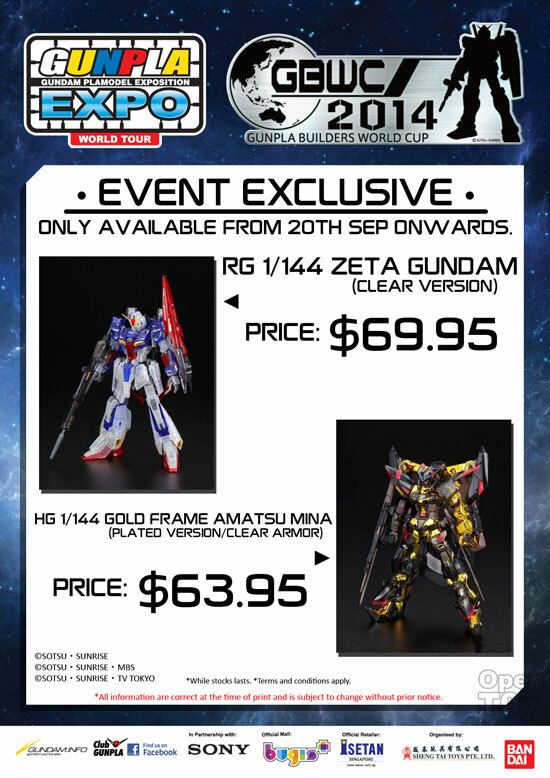 Here are the Gunpla offers at the event! All Normal items will be 20% off exclude Special offers and limited Editions. If you purchase more than $100, you will be given a $10 discount coupon for your next purchase at Isetan for Bandai Gundam Model kits! There will be lucky draw for every $50 purchased! 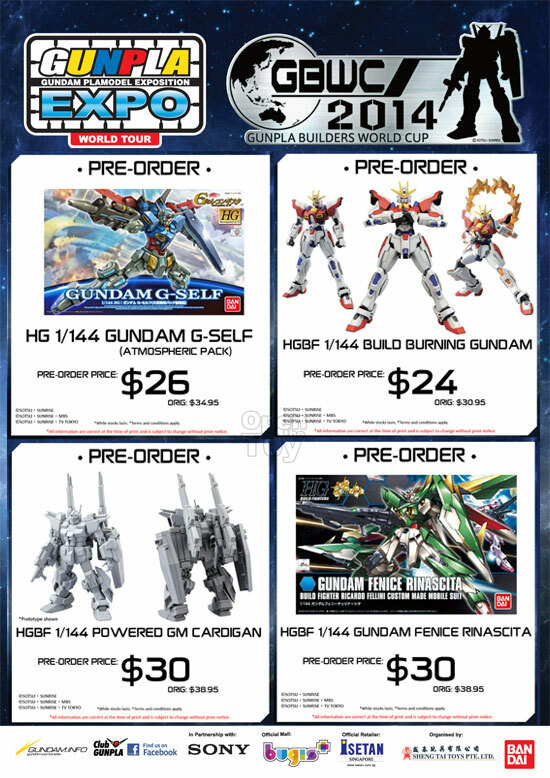 You will recieved Gundam Info Campaign card as well fro every Gunpla you purchase! Now for the Pre-order offers!! For Event exclusive, here are what it will be offering on 13 September Saturday onward. Here are the Exclusive from 20th September 2014 Saturday onward! For every Monday to Friday, there will be Gunpla Caravan as it is school holidays for parents to bring your kids for such activity to build a Gunpla! Check out the schedule below. More coverage on the Gunpla Expo on my next post. Do share these news to your friends! !